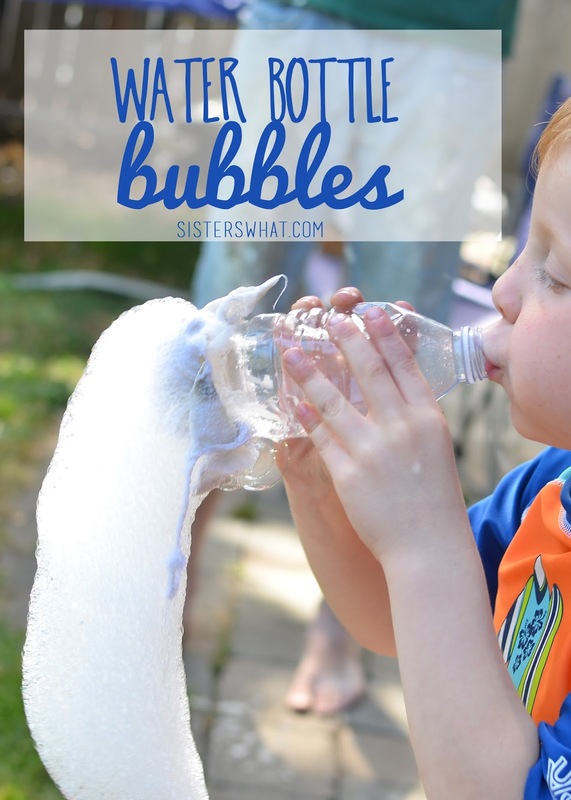 ' Water Bottle Bubbles Summer Kid Activity - Sisters, What! I can't believe that we are well into July and summer is half way over!! Ahh, time to go into full play mode : ). Today I'm over at Seven Thirty Three Blog sharing these awesome Water Bottle Bubbles. Go on over there and check them out.